Aluminum Alloy Zinc Connector Design makes your phone more special and luxurious. The slim Lightning Adapter is small enough to fit most cases and durable enough to withstand heavy use. Light-weight and easily coiled. Tangle free Braided cable. These premium cable heads are housed in a sturdy Zinc-Alloy to combine superior quality and durability. Optional Car Charger: 2.4A 2-Port USB Car Charger charges your favorite mobile devices including the iPad (max speed), iPhone (max speed), iPod, HTC, Galaxy, Blackberry, MP3 Players, Digital Cameras, PDAs, Mobile Phones. Optional Car Charger: YELLOW-PRICE Intelligent circuit design protects against short circuiting, over-heating, over-currents, and over-charging. Charging stops when battery is full. - iPad mini / iPad Mini 2 II with Retina Display 2013 / iPad Mini 3rd. 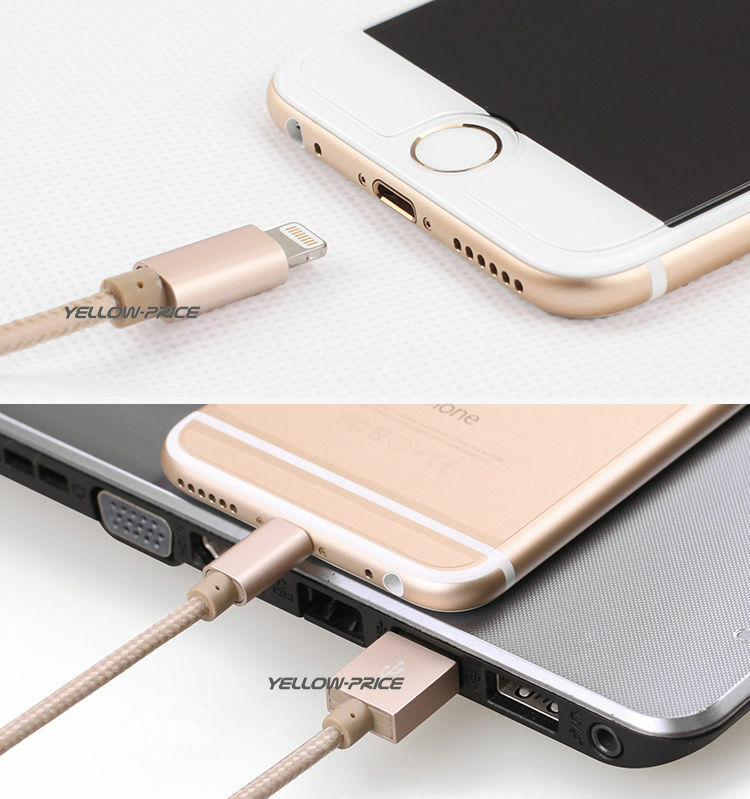 1 of Premium Aluminum Braided Apple MFI Certified Lightning to USB Cable.